Indianapolis Downtown Doggie (Indy DTD) is your premiere one stop pet care facility. Our brand new, 10,000 sq ft, state-of-the-art facility is equipped with indoor/outdoor play areas, access to our dog park and is conveniently located for your morning commute. Our well-trained, friendly staff has the knowledge and understanding of your dogs needs. In addition to our daycare services, we also offer several types of obedience training, overnight suites and onsite grooming. Owners Erin and Jodi share a great love and passion for dogs, having trained professionally since 2004. 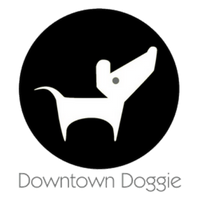 Learn more about their credentials and why Indy DTD is the only choice for Downtown Doggies. 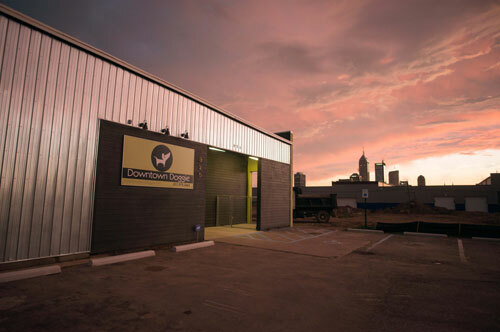 Indy DTD serves as a one-stop-shop for downtown Indianapolis dog owners – offering doggie daycare, boarding, grooming, training, and provides plenty of room to roam. Check out the Indy DTD FAQ for helpful information about daycare requirements, how your dog will spend their day, what to bring for overnight boarding, what happens during closed business hours, and more. Indy Downtown Doggie offers an affordable and fun atmosphere for urban doggies!